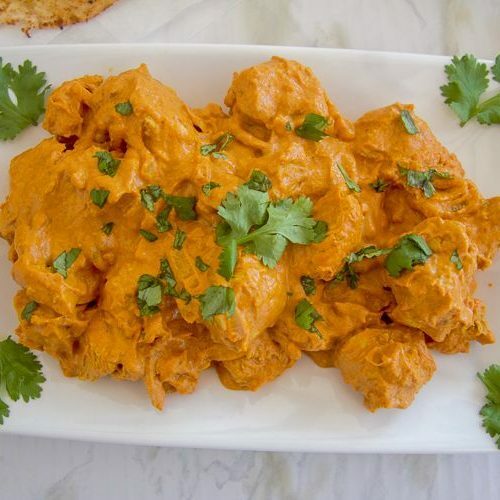 An easy butter chicken that can be cooked in under 30 minutes. 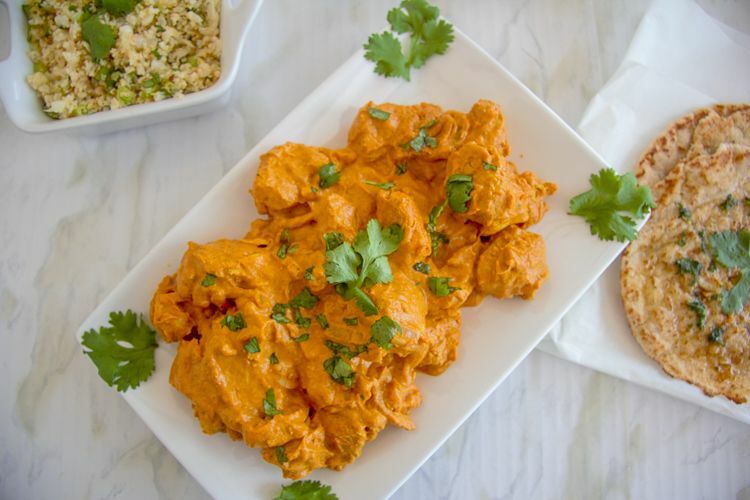 A low carb version of the classic spicy, creamy chicken dish. Butter chicken is often a firm favourite on an Indian restaurant restaurant when we go out. It is traditional marinated overnight in a mixture of spices and yogurt. This version uses cream in place of the yogurt and does not marinade the chicken for a fast and easy recipe. I find this recipe to be a fast and easy one to make for dinner as it does not take much time to prepare and cook. I often turn to it when I glance at the clock and realise the Chief Taster will be home soon and I do not have the time to spend a while preparing a dish. Especially if the dogs and cats are starting to circle me, banging their empty bowls and demanding to be fed at the same time. What great about this butter chicken recipe is that I often have these ingredients in the cupboard and fridge. 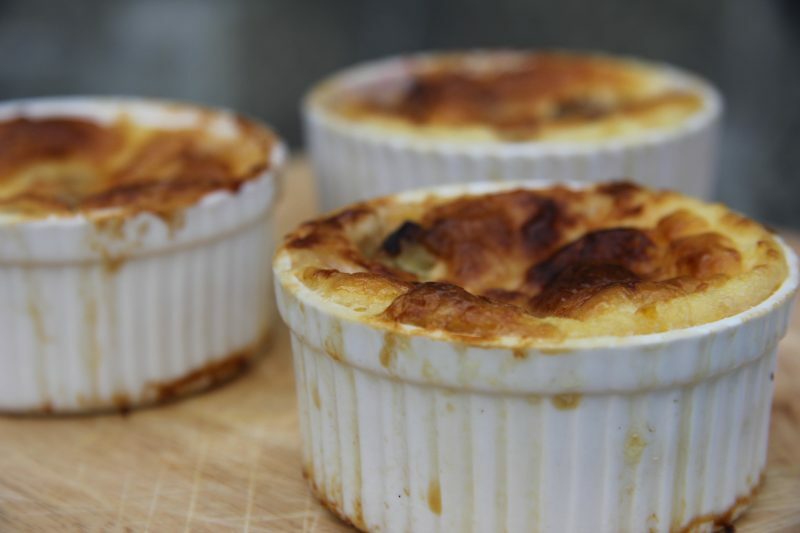 It’s an uncomplicated recipe that is packed full of flavour. To make this is as simple as coating chicken pieces in spices, cook with garlic and onions, then add tomato paste and cream. My first attempt at this butter chicken was met with delight from the Chief Taster. It was declared to be the best Indian dish I had made for years. We tend to eat out for our Indian meals, and I scold myself for not cooking more Indian food as I should. 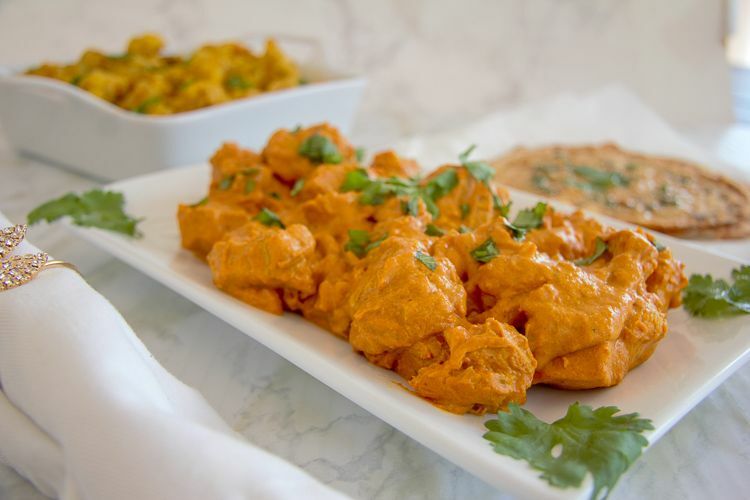 Butter chicken is also known as Murgh Makhani and originated in Delhi, the capital of India during the 1950’s. The spices may vary from recipe to recipe but will normally included garlic, ginger, cumin, coriander, turmeric and garam masala. 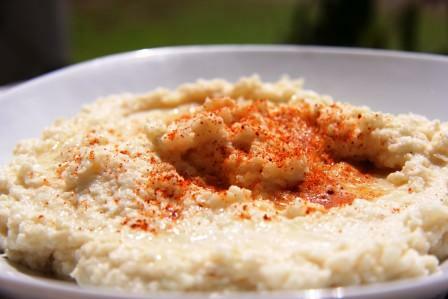 Variations may include cinnamon and fenugreek. 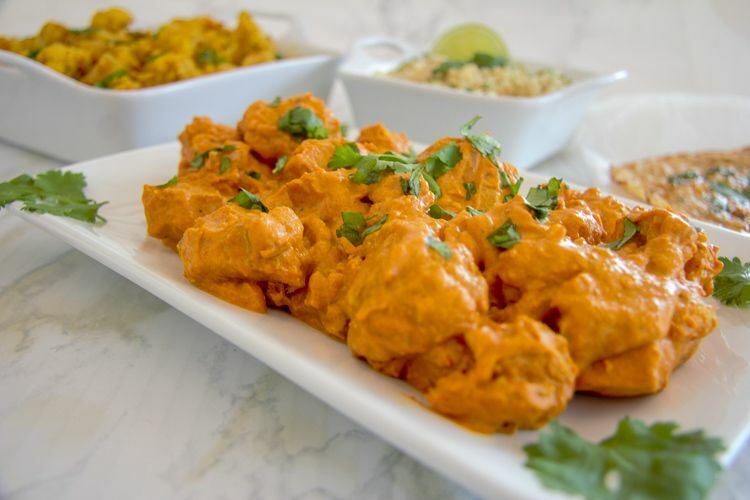 Have a play with the spices and you can create your version of butter chicken. 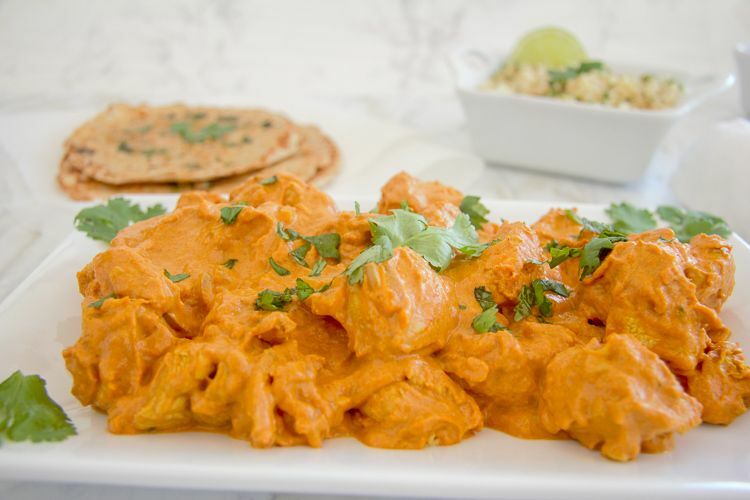 Butter chicken is great served with a flatbread garlic naan, cauliflower rice and perhaps a vegetable side dish (usually involving cauliflower in our house). If the sauce gets too dry, add more cream or water until you get the consistency you want. Coconut milk could be used in place of cream and would give an extra flavour. You could grill the chicken before adding the sauce to add another flavour to this dish. An easy creamy and mild spicy chicken dish. In a saucepan, heat the butter on a medium heat. Add the chicken and cook for 3-5 minutes, stirring the chicken to ensure even cooking.